Nicholas Sgaglione, MD, leads the Northwell Health Orthopaedic Institute. Dr. Sgaglione, chair and professor of orthopaedic surgery at Zucker School of Medicine, is a fellow of the American Academy of Orthopaedic Surgeons as well as a diplomate of the American Board of Orthopaedic Surgery and the National Board of Medical Examiners. 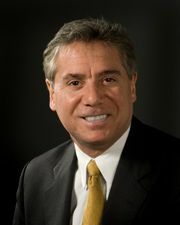 Dr. Sgaglione is a past president of the Board of Directors for Arthroscopy Association of North America. His professional affiliations also include membership in the American Orthopaedic Association, American Orthopaedic Society of Sports Medicine and New York State Society of Orthopaedic Surgeons, among others. Dr. Sgaglione earned his medical degree from Mount Sinai School of Medicine. He completed his residency in orthopaedic surgery at the Hospital for Special Surgery, and a fellowship in sports medicine and arthroscopic surgery at the Southern California Orthopaedic Institute and Southern California Sports Medicine & Orthopaedic Group. View Dr. Sgaglione's clinical profile.